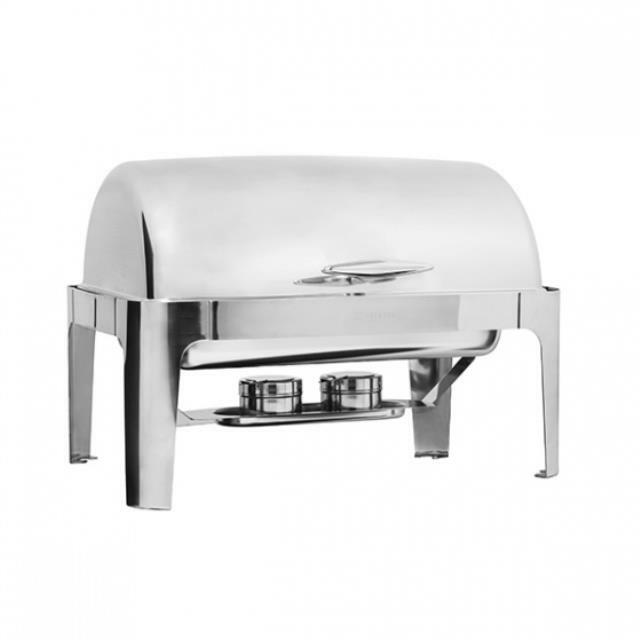 Solid polished stainless steel, rectangular chafer with an attached roll top lid. Fuel cans (2) are included along with boiler/water pan. Food pans are rented separately in either full or half sizes. Disposable aluminum pans are sold. * Please call us with any questions you may have about our chafer roll top full size rentals/sales in State College, serving Central Pennsylvania.